A repetition maximum (RM) is the most weight you can lift for a defined number of exercise movements. 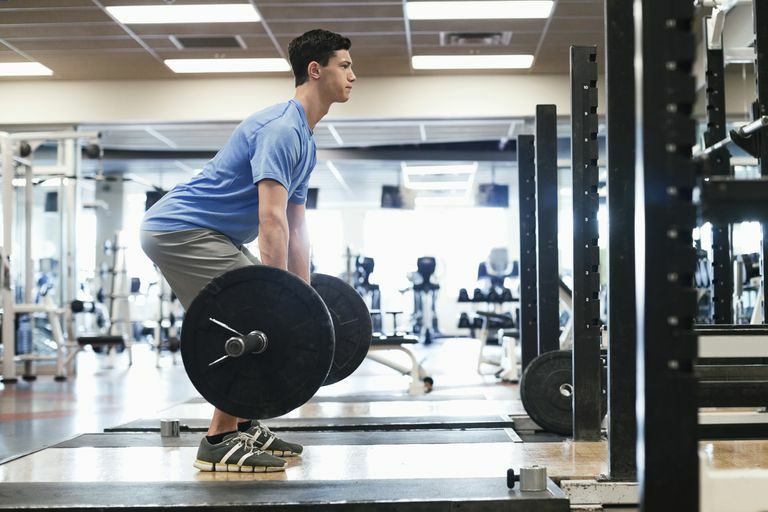 It is a good measure of your current strength level as you follow your weight training program. For example, a 10RM would be the heaviest weight you could lift for 10 consecutive exercise repetitions. Repetition maximum is often expressed as 1RM or one-repetition maximum. This indicates the heaviest weight you can lift with maximum effort in a single repetition. A 1RM is your personal weightlifting record for any particular exercise. It could be a squat, deadlift, or any other weightlifting exercise. The 1RM measurement is a standard in weight training for marking improvement. By establishing your 1RM and tracking it, you are able to observe your progress. It is a precise measure, so it can help you judge how effective your program is. Plus, you get positive reinforcement and a sense of accomplishment when you have a way to clearly see improvements. While 1RM is a very useful tool, it does have limitations. Measuring your 1RM is not simply a matter of grabbing the biggest weight performing a rep. By definition, you will be stressing this muscle to its maximum and placing yourself at risk of an injury if you don't do it correctly. You need to prepare to do it properly. Before measuring your 1RM, you need to perform a few warm-up sets of the exercise to get the muscle ready. A warmed-up muscle is far less likely to be injured. The warm-up may seem time-consuming, but it is essential. Also, allow twenty-four hours of rest time for a muscle before performing a 1RM test. Don't perform this test in the afternoon if you had a morning workout of the same muscle group. There are also submaximal testing methods that can be used to approximate 1RM. These can be safer methods to use but may not be as accurate. You will see repetition maximum used in exercise instructions. For example, "three sets of 6RM lifts" would mean performing each exercise using the weight you can only lift with good form six times. You would perform all of the exercises and then repeat the sequence two more times (three sets total). It is also common to see instructions for weights based on a percentage of 1RM, such as, "Six reps at 75 percent of your 1RM." If your 1RM is 20 pounds, you would use 15 pounds. By using repetition maximum notation instead of defined weights, the instructions can be written to be appropriate for training people of different abilities. One person would use 10-pound weights while another would use 30-pound weights, etc. They would each benefit from the training effect the exercise sequence was designed to produce. Also, as you improve your strength, you can continue to use the same instructions but use heavier weights.